I just wanted to do a quick post on ginger. I was making my Korean Taco meat for dinner tonight, and I reached into my freezer for my ginger. This made me remember how I used to feel about fresh ginger. I was always afraid to buy it, because I would use it for one recipe and then the rest would rot on me. 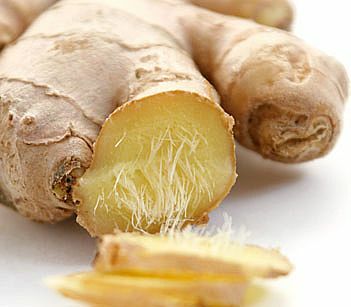 So for a while, I was using dried ginger, which is okay, I guess, but not the real thing. Somewhere along internet searching, reading, and well..let's admit it, wasting a ton of my time, I ran across the idea of freezing ginger roots. And of course, I love my freezer!! At first I was afraid it would be impossible to break and peel the stuff, but it isn't. I actually think it may be easier to peel, and you can still break a "finger" off very easily. Just throw it in a freezer bag. It's ready whenever you need it. No need to defrost. I'm sure, like me you find yourself somewhere on this list, so why not enjoy ginger as much as possible and let your freezer help you get the most out of your root! Such a great tip, thank you!